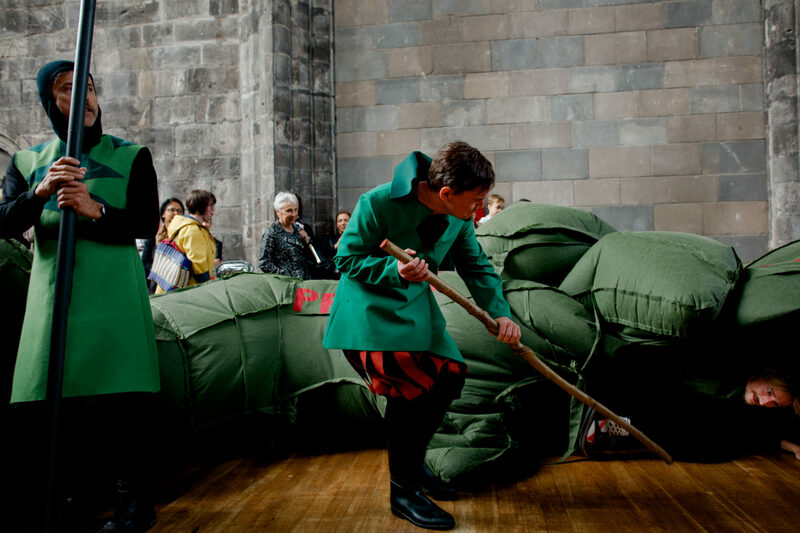 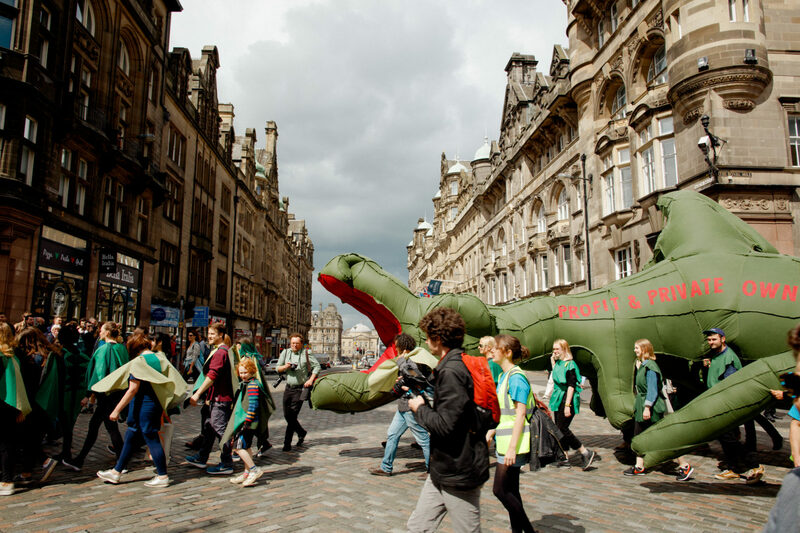 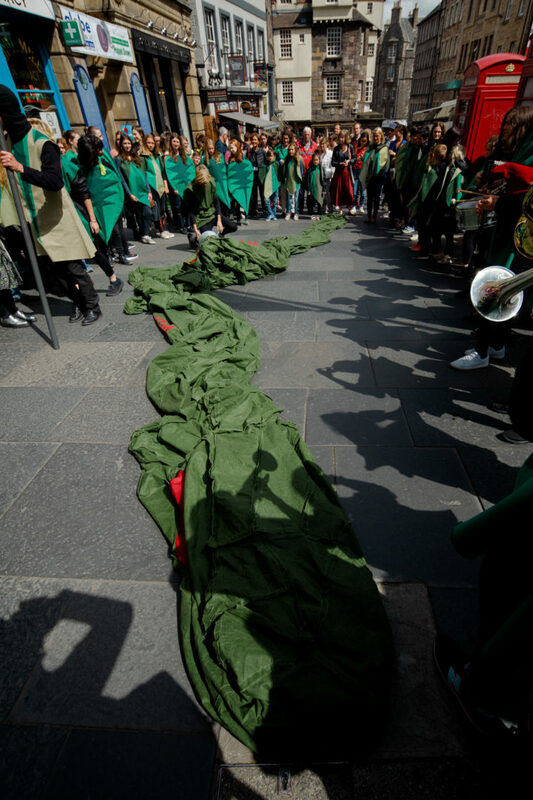 The event comprised a giant inflatable dragon (The Dragon of Profit and Private Ownership) in a procession around Edinburgh City Centre. 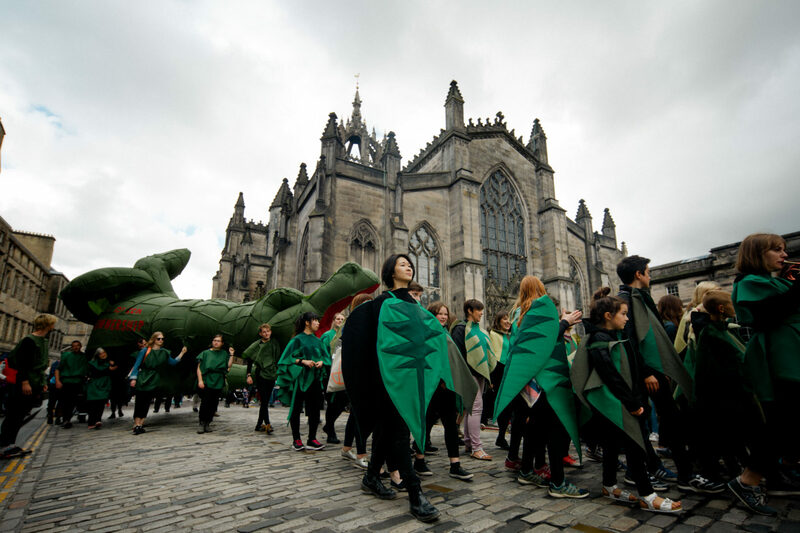 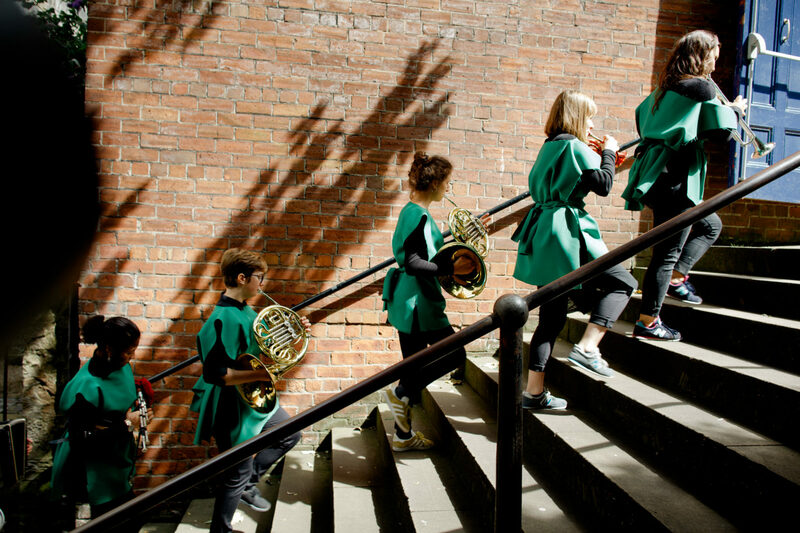 Led by musicians and costumed performers, the event certainly caught the attention of everyone in the city and was a rousing start to the festival. 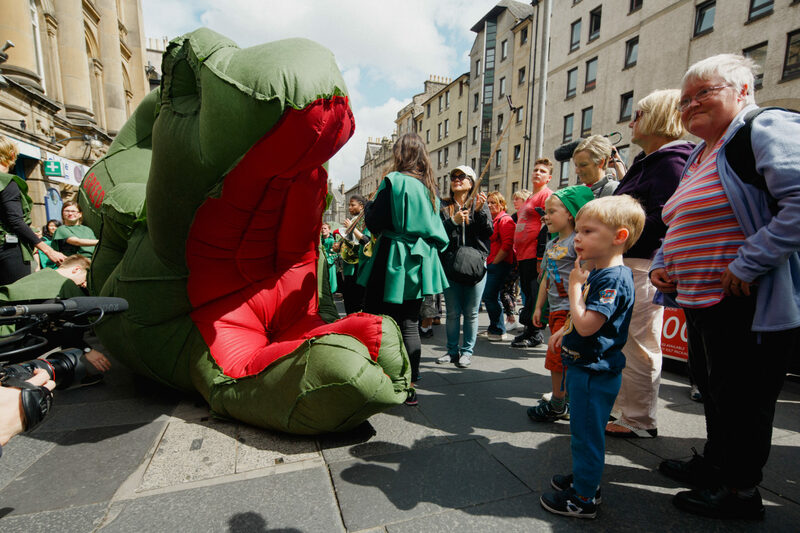 Looking into the mouth of the dragon. 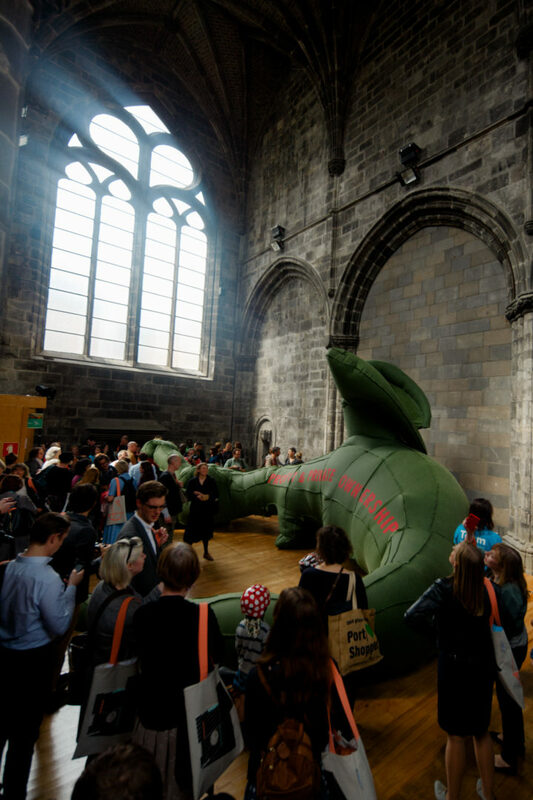 The dragon at Trinity Apse for the remainder of the Festival.